As Christmas approaches there is generally a frenzy of activity in the homes of your children. Even those who don’t celebrate Christmas seem to get caught up in the excitement of presents, over eating and general merriment. The children have been waiting eagerly to find out what pressies they will be getting for months and for the young children toys come high up on the wish list. Making sure that the toys, especially for the very young, are age appropriate is very important. Accidents involving toys usually happen when a young child plays with a toy that is meant for an older child, or when someone trips over toys that have been left out. Over 35,000 children go to hospitals every year after an accident involving a toy and the majority of these accidents happen to toddlers between one and three years old. So how do you choose age appropriate toys? 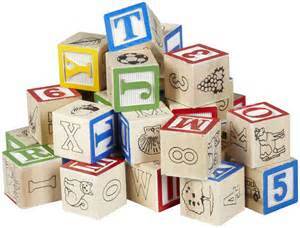 There is usually a warning symbol on toys letting parents know if a toy is unsuitable for children under 36 months. This is important because it means that a toy might contain parts that could choke a very young child. There are also safety marks that help identify safe toys. Toys should conform to the European Standard BS EN 71. (Article 50 has not yet be triggered). The Lion mark can also be a helpful guide as this means they have been made to the highest standard of safety and quality and it is the mark used by members of the British Toy and Hobby Association. A CE mark is not a guarantee of quality or safety but it is a legal requirement for all toys sold in the European Union. The best place to shop for toys is either a specialised toy shop or a recognised high street shop. These shops won’t sell toys that don’t meet the right safety standards and it is best to stick to the age advice on toy packaging. If a baby plays with a toy that has small parts or long fur, they might choke or swallow bits of the toy. Marbles and magnets can also be choked on or swallowed, and magnets are particularly dangerous as they can cause serious problems if swallowed. Toy manufacturers know what is safe and what isn’t so it’s best to follow their age guides. Should the worst happen and your child starts to choke it is most important to remain calm. You need to reassure the child that everything is going to be ok. They are looking to you to solve the situation. If you panic it will exacerbate the situation. If the baby or child is choking but still coughing effectively, encourage them to cough – it’s still the best way to clear an airway. Give up to 5 firm blows between the shoulder blades with the palm of your hand. Check between blows and stop if the obstruction is cleared. Make a fist with one hand and place it just above the belly button (below the ribs) with your thumb inwards. Grasp this fist with your other hand. Thrust sharply inwards and upwards. Do this up to 5 times, but check between thrusts and stop if the obstruction is cleared. Keep repeating Back Blows and Chest Thrusts – if it is not working shout for help and ask someone to call 999/112 for emergency help, but carry on doing this while the child is still conscious.